IRVING, TX--(Marketwired - March 13, 2017) - EPIC Fuels will take part in the National Business Aviation Association's Regional Forum in Fort Worth, TX on March 23, 2017, to showcase the company's FBO networks, fuel products and services and card offerings, including the EPIC Card and the new Signature Flight Support Card issued by EPIC. 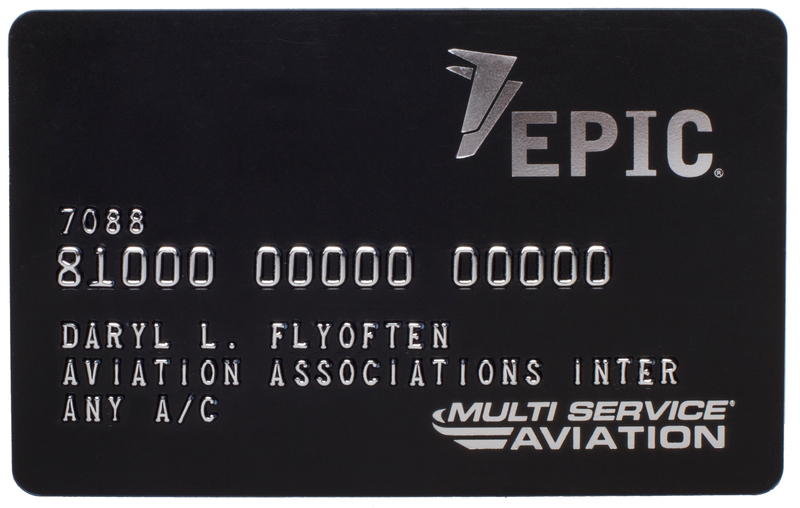 Together, this highly qualified group is well-informed across all of EPIC Fuels' systems and solutions, from fuel delivery, payment cards and marketing needs to EPIC's expansive network, including EPIC Fuels' branded FBOs and UVair FBO Network locations. EPIC Fuels is a proud supporter of NBAA and long-time participant in the association's conferences and regional forums. These events are excellent opportunities to bring current and prospective business aircraft owners, operators, manufacturers, customers and other industry personnel together for a one-day event at some of the best airports and FBOs in the nation. More than 1,200 attendees are expected to attend the one-day event held at Fort Worth's Meacham Airport (FTW), which will feature 120-plus exhibits and static displays of aircraft. Meet representatives from the EPIC Fuels team at the company's exhibit in booth #601. The EPIC Card can be used at over 8,000 locations around the globe! 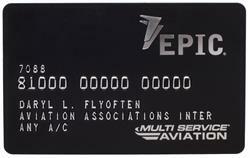 And, starting this month the EPIC Card is welcome at all Signature Flight Support locations in the U.S. and Canada!